Given this 's compound rank of 82%, we believe that the Tripp Lite SRCOOL2KWM is currently Alphachooser's best Tripp Lite air conditioner 2019. Furthermore, we think that our sample of 143 reviews from our sources gives us a high confidence level (more on confidence levels) that justifies labelling it a "no-brainer best choice." 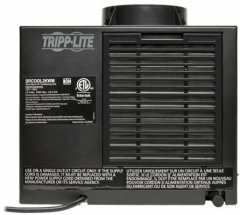 With its 3 stars averaged from 220 reviews, we rank this Tripp Lite model second best Tripp Lite air conditioner. * By the way, this list is based on a full analysis of hundreds of reviews from multiple sources.